Mobility is transforming businesses in every vertical. Most enterprise employees now use smartphones and other mobile devices to access business data and apps from anywhere and at any time, from mobile email and collaboration to industry-specific apps and mobile tasks. 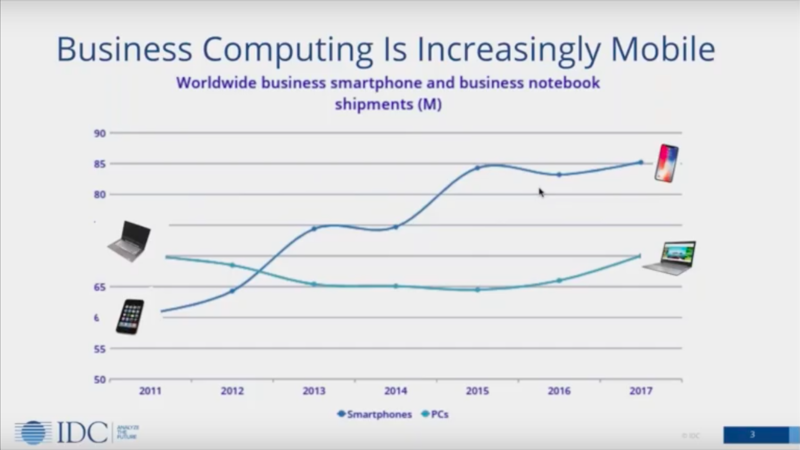 Today, business computing is increasingly mobile: worldwide shipments of corporate smartphones outstripped PCs in 2017 (85 million units versus 70 million), according to IDC. And respondents to a recent IDC survey indicated they have replaced their PC/Laptops with smartphones (20 percent), are planning to switch (22 percent), or are running trials (39 percent). However, as businesses thrust more mobile use cases into all aspects of business operations and activities, the need to secure these endpoints, especially shoring up of device vulnerabilities, is becoming essential. Security is the top mobility challenge for enterprise IT, with 37 percent of survey respondents telling IDC that their organization has experienced security/compliance issues during a mobile hardware deployment. Other challenges with security implications include the lack of mobile OS version control and poor system integration with mobile apps and devices, as well as budget, complexity, and hardware concerns. While no one platform is more susceptible to a breach, common enterprise security incidents – after device loss or theft – include network-based attacks, mobile phishing via email, and malicious SMS texts and apps, according to IDC survey respondents. Despite the growing threat faced by mobile devices, a significant amount of enterprise security spend still goes to PCs. According to IDC research, enterprises on average spend 250 times more on PC security than on securing mobile devices, in part because companies tend to leave security to mobile device OEMs. Against this backdrop, mobile threat management (MTM) is emerging as a must-have tool for successful enterprise mobility deployment and management. MTM fits neatly into enterprise endpoint security architecture by providing protection, detection, analysis, and remediation of mobile devices based on threats from both a device and a network perspective. "Mobile is endpoint security’s biggest blind spot and one that is likely to grow over time." Mobile is endpoint security’s biggest blind spot and one that is likely to grow over time. Nearly 60 percent of IDC survey respondents now cite security is a top driver in shifting from BYOD to a corporate-liable device policy for employees. Businesses will need a common approach for mobile security, tuned for the permanently dynamic endpoint environment. Relying on enterprise mobility management (EMM) and underlying mobile OS safeguards will not enough to safeguard the enterprise. Forward-looking enterprises will be those that focus on MTM solutions capable of addressing both existing and emerging threats such as mobile phishing and SMS attacks. 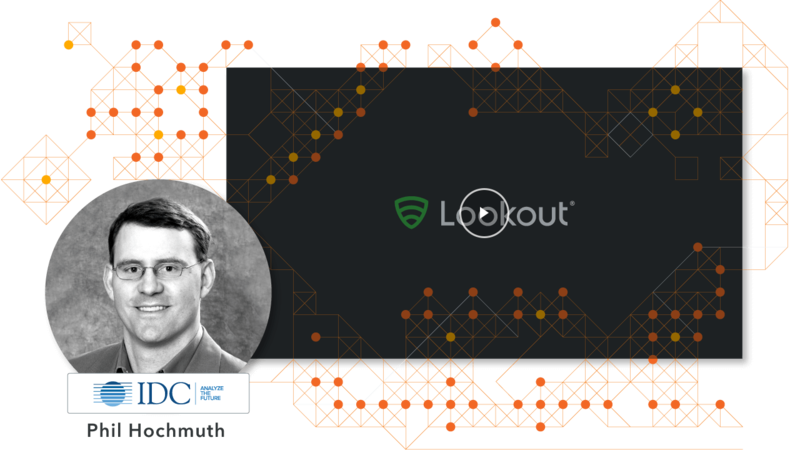 To learn more about enterprise mobility adoption, security, and and how MTM fits into an enterprise endpoint security architecture, register to download the IDC webinar, “Mobile Threat Management: Addressing Endpoint Security’s Biggest Blind Spot,” sponsored by Lookout.